Karen + Holden are University sweethearts. They met each other while both studying at University of Toronto at the Mississauga campus. That’s where they fell hard for each other and the rest as they say is history. 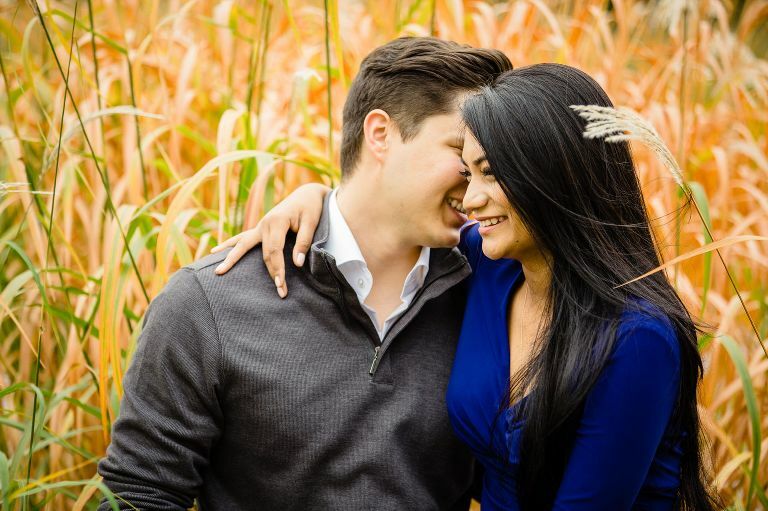 Karen wore a bold royal blue dress for her engagement session and it worked so perfectly against the crisp yellows and oranges of the fall season. I hope you enjoy some of my favourites from their fall engagement session at the place they fell in love.